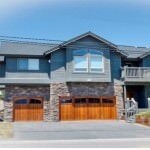 Price Changed to $549,000 in South Lake Tahoe! 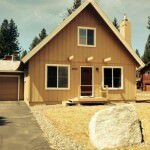 1876 Guadalupe St South Lake Tahoe CA offered at $549,000Reduced-Best Value! This custom county home is located on a quiet street in the popular neighborhood Tahoe Paradise. Built in 2005, yet it is like new & has barely been used. Floor plan is the desirable upstairs open living with vaulted ceilings, hardwood floors & a gorgeous rustic rock fireplace & hearth. Doors & window sills are rich cedar wood. Kitchen & baths are finished with natural stone flooring granite...Continue Reading! Price Changed to $560,000 in South Lake Tahoe! 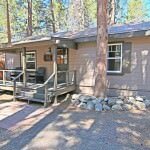 1876 Guadalupe St South Lake Tahoe CA offered at $560,000Reduced-Best Value! This custom county home is located on a quiet street in the popular neighborhood Tahoe Paradise. Built in 2005, yet it is like new & has barely been used. Floor plan is the desirable upstairs open living with vaulted ceilings, hardwood floors & a gorgeous rustic rock fireplace & hearth. Doors & window sills are rich cedar wood. Kitchen & baths are finished with natural stone flooring granite...Continue Reading! 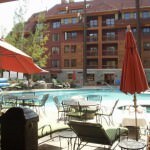 3344 Sandy Way #22 South Lake Tahoe CA offered at $125,000Continue Reading! 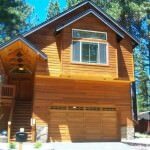 Price Changed to $569,000 in South Lake Tahoe! 1876 Guadalupe St South Lake Tahoe CA offered at $569,000This custom county home is located on a quiet street in the popular neighborhood Tahoe Paradise. Built in 2005, yet it is like new & has barely been used. Floor plan is the desirable upstairs open living with vaulted ceilings, hardwood floors & a gorgeous rustic rock fireplace & hearth. Doors & window sills are rich cedar wood. Kitchen & baths are finished with natural stone flooring granite slab counters &...Continue Reading! 1876 Guadalupe St South Lake Tahoe CA offered at $582,900This custom county home is located on a quiet street in the popular neighborhood Tahoe Paradise. Built in 2005, yet it is like new & has barely been used. Floor plan is the desirable upstairs open living with vaulted ceilings, hardwood floors & a gorgeous rustic rock fireplace & hearth. Doors & window sills are rich cedar wood. Kitchen & baths are finished with natural stone flooring granite slab counters &...Continue Reading! 3783 Forest Ave South Lake Tahoe CA offered at $235,000Complete interior TRANSFORMATION with high quality upgrades inside this Tahoe cabin in the perfect location to enjoy South Shore's beaches, skiing, and night life! Remodeled features include Acacia wood floors throughout, slab granite kitchen counter tops with stone splash, all stainless appliances, rich knotty Alder cabinets with two frosted glass cabinet doors, chair rail and crown molding accents with soft decorator paint color, vinyl-clad double pane windows, matching window coverings, brand...Continue Reading! 2495 Cougar Trl South Lake Tahoe CA offered at $429,000Beautiful remodeled chalet style home with excellent floor plan in prestigious Montgomery Estates-Meadow Lakes neighborhood. 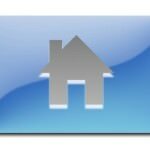 Home is 4 bedrooms, with 2 bedrooms downstairs & 2 large bedrooms upstairs. Full bath downstairs and three quarter bath upstairs. Remodel includes granite counters, natural stone floors, new tile at back splash, tub & shower, new carpet, interior exterior paint, new electrical, reconditioned furnace & gas fireplace & more. Bamboo...Continue Reading!